Well…Its that time of the year (or rather it was that time of the year about a month ago). Before undertaking this task, I initially thought that 2011 was not the best of years. I will be the first to admit that I was a little, shall I say, disgruntled? Not only did James Murphy announce the end of LCD Soundsystem (a favorite among favorites for JJMT), but both Broken Social Scene and Wolf Parade announced that each would be taking an indefinite hiatus. On a sadder note, TV on the Radio founding member and bassist, Gerard Smith, passed away from lung cancer. Needless to say, as I looked back on the world of music throughout the last year, the words disappointed, bitter, sad, and heartbroken come to mind. However, upon further reflection I realized that from the ashes of some of my favorites, there were definitely more than a few hidden gems. So without further ado, I present to you some of my favorite albums released in the last 365 days (not in any particular order). It’s been four years since the Austin based instrumental rock band put forth any new material, but after listening to their latest release, fans have no problem forgiving Munaf Rayani and company for the wait, as Take Care, Take Care, Take Care delivers on everything fans could have wished for. Following in a similar fashion as their previous works, Take Care does not try to change its stripes in order to gain popularity and appeal to a wider fan base. 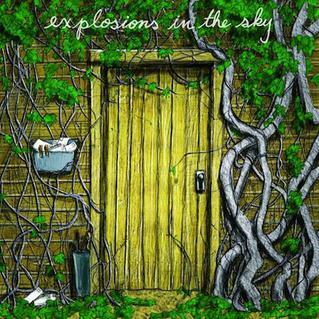 Instead, Explosions does what they do best: they take you on what I always picture as a sort of magic carpet ride, where they formulate musical waves that takes those who are willing to simply let go on an imaginary ride; one filled with joy, sorrow, passion, and pain. This playlist is geared more towards electropop fans. Enjoy!